Review: "Aladtec - Software as a Service, Service as a philosophy and priority"
Aladtec is a powerful, well-rounded employee management tool. Initially we wanted a reliable, cloud-based schedule. What we found quickly was Aladtac's system offers much more than we thought we needed. The user-defined database keeps track of everything from emergency contact data to licensure and certifications. We can easily keep track of who has attended training, meetings and special events. The system has customizable reports that allow us to dynamically audit payroll to prevent costly human error, as well as giving us reports about prioritizing on-call, overtime and leave opportunities. 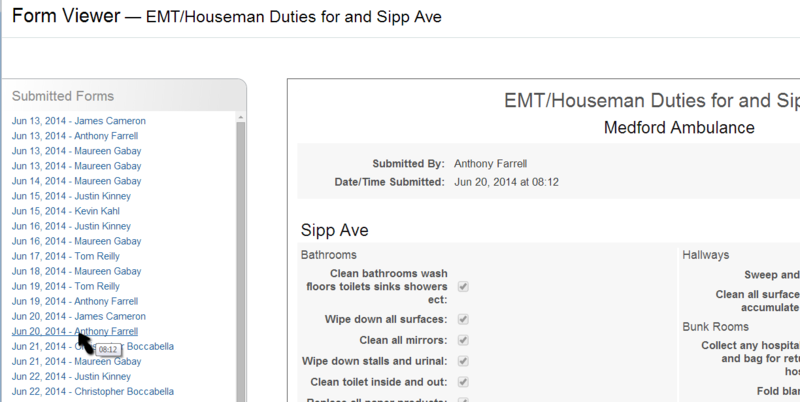 One of my favorite features is the real-time availability (a valuable time-saver when filling shifts). We also love the reminders 24-hours prior to the shift so no one "forgets" to come in. Real-time, all the time! Because of the no-delay "in the cloud" database any updates or changes to the schedule are instant. No one can see incorrect versions of the work schedule. Excellent customer support. From the first call, the staff at Aladtec has been very friendly, helpful and always receptive. If we have a need for additional functionality, they want to know how they can help. Frequently this results in system upgrades - FREE - and often features are added we never would have thought about. Custom and comprehensive. I have worked in several places who use Aladtec. While each looks similar and is easy to navigate and use, the differences in each service are reflected in the Aladtec product. I genuinely believe Aladtec can be applied successfully in any organization. Any specific improvements I have already mentioned to Aladtec and (I'm thrilled to report) several have already been implemented. They even made system accommodations for colorblind users - an industry first! I am excited to see further development of the custom forms so we can merge to a completely paperless schedule & payroll system. Although there is no specific fleet management tool, we have worked with Aladtec's Customer Support pros to develop a ways to accurately record all of our vehicles for scheduling maintenance, in-service and down time. While most of my Aladtec experience is with public safety agencies, I cannot imagine an industry or service that would not benefit from an Aladtec system. Affordable, reliable, efficient and user-friendly - Aladtec offers a product that most companies simply can only dream about. User Review: "Aladtec - got to try it." Our department uses Aladtec for our staff scheduling and department notifications. We have 70+ EMS employees to schedule covering 5 ambulances, 3 quick response vehicles and two stations. Our staff accessed the Aladtec software daily for staff notes and shift notes. It is a great communication tool along with the scheduling program. First and foremost, outstanding customer service. They are always willing to solve any issues and do so in a timely manner. They are very open to new ideas and concepts from their customers to improve the overall product. The organization is very innovative. They are constantly striving to find new ways to make the program work for their customers. They provide outstanding training and support when needed or asked. Particularly when new employees are hired onto our department, Aladtec is willing to help train our new staff to the system. Being the program is so user friendly, we rarely have to do that, but is important to note they are willing to help. The only item we would like to see is an online training module for our EMS staff. Being able to upload training items and quizzes for our staff to do under their user accounts would be a huge asset for our department and others. Similar to the Moodle training software. No other issues to note. 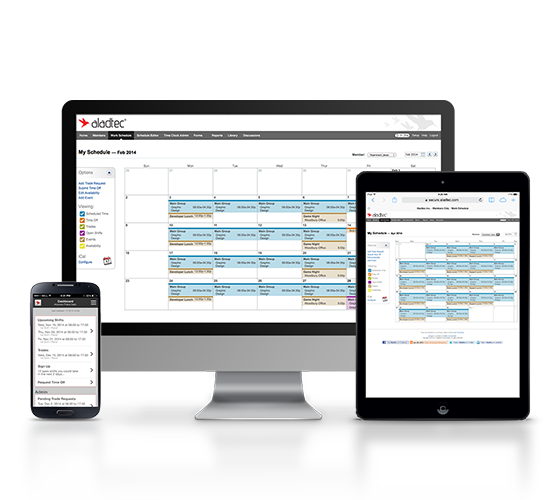 The entire Aladtec scheduling and staff management software program works very well for our department. The entire program is exactly what our department needs and uses for daily operations. We would be struggling without it. Our EMS staff thoroughly enjoy using it and its user friendly nature. We highly recommend using it. We currently use Aladtec's scheduler and timekeeping software for our public safety dispatch center. Previously, we utilized pen and paper for scheduling and a traditional time clock. Aladtec streamlines scheduling, with a month's schedule being complied in less than twenty minutes, whereas it use to take a day. 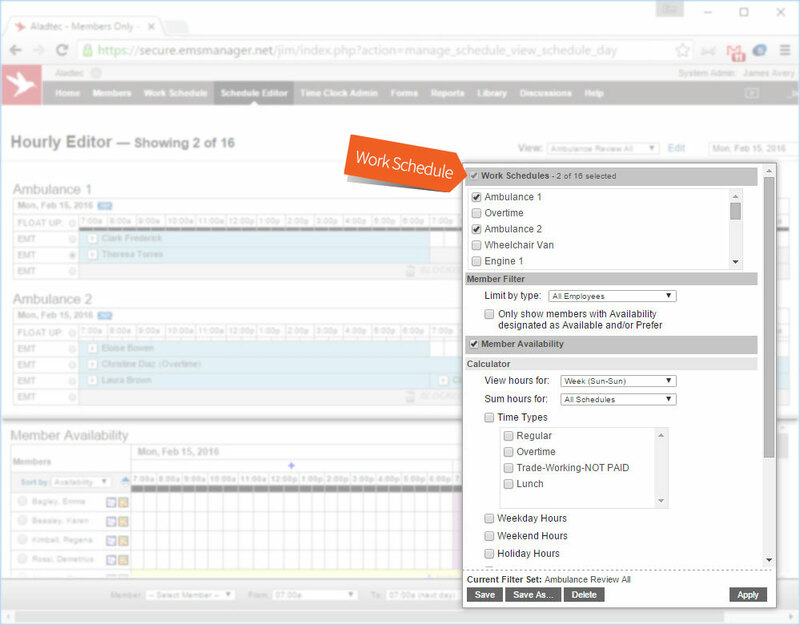 The scheduler works well with the time clock to ensure that overtime is controlled and payroll can be projected for the months ahead. All information can be downloaded into a .csv file and graphically illustrated using Excel. The program is simple, functional, and robust - I cannot imagine our organization utilizing anything else. 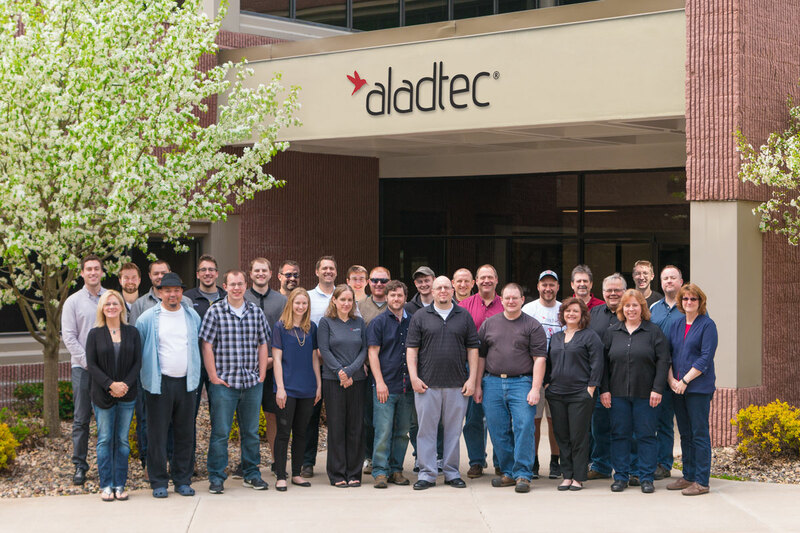 User training is easy with Aladtec. We provided the employees with a login, and they were pros within 20 minutes of logging in. Shift reminders help employees remember their next scheduled shift. Exception alarms alert you when someone is late to work. The software lacks the ability to track accrued time off. Any organization that utilizes hourly employees can greatly benefit from Aladtec because it helps employers and employees with scheduling and time-off requests. Aladtec is employee scheduling software that is targeted at businesses in the public safety sector, including EMS, Fire & Rescue, Law Enforcement, Communication Centers/Dispatch, Security and Health Care. Monitor Operations: Access and change schedules, view employee info and credentials 24/7 from any computer, smartphone or other mobile devices with Internet access. Save Time & Money: Automate and manage employee time off, sign-up and trade requests, which saves money in unplanned overtime and scheduling man-hours. Improve Communications: Send instant messages, texts or emails to fill your schedule or update staff immediately. Choose mandatory messaging - you'll know who read your message and see the time stamp. Has featureEmployee Data Management - Easily store and access contact information, certifications, etc. 24/7 Accessibility from any computer, smartphone or other mobile device.Move all office forms online to Aladtec.Easily view schedules and make changes with drag and drop scheduling.Ideal for Public Safety AgenciesThe Aladtec Team! Aladtec is an annual subscription based on the number of people the customer has using the system, so it's fairly priced for any size organization.